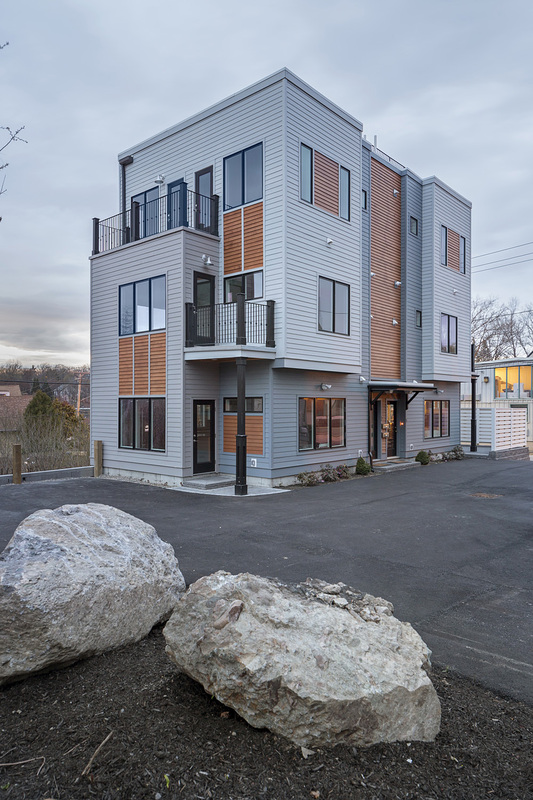 Located in Jamaica Plain, the project is designed to accommodate a total of 8 condo units across three new buildings. The narrow yet deep footprints of each building aids in creating a clear division between public/private space within each dwelling unit, while simultaneously allowing the buildings to fit the scale of the surrounding neighborhood. 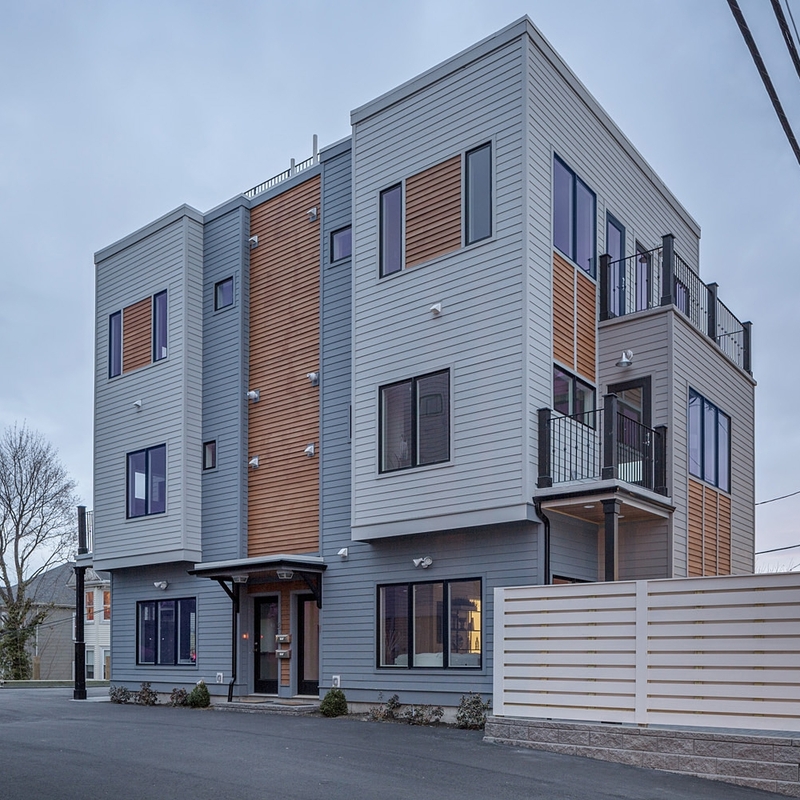 Simple materials such as clapboard and natural cedar help ground the project to its context, while the formal gesture of the buildings – a series of projected volumes – becomes a modern abstraction of the traditional bay window.